The use of learning analytics in higher education is growing rapidly to address many current issues, including student retention. This work package brings together people working in higher education across Europe with common interests in sharing good practice and research in learning analytics. The Evidence Hub website that we have built will be used to build up a picture of current knowledge in the area and to identify significant gaps. This work is being led by Doug Clow and Rebecca Ferguson at The Open University UK. This page includes blog posts relevant to higher education and more details of the activities of this work package. European funding for the LACE project has now come to an end. We are beginning to move from fully funded project to special interest group. This means it is a good time to consider the next steps for learning analytics. LACE has been invited to discuss ‘data interoperability‘ and ‘learning analytics supported instructional design methods‘ at the University of Catalonia (Universitat Oberta de Catalunya) at an Open Conference with various workshops. LACE has been invited to contribute to the French Conference on the State-Of-The-Art of Learning Analytics and actions points for a national research agenda for Learning Analytics. The conference has been held in Paris at the French Ministry of Education (07.12.2015). 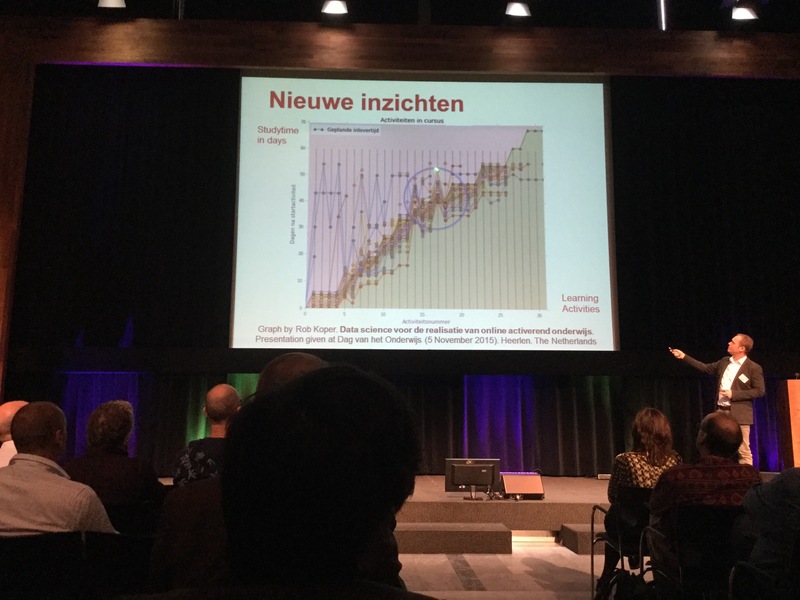 Keynote on Introduction to Learning Analytics still highly needed! What’s the right tool for reading the future? Ed Foster of Nottingham Trent University, UK, is an associate partner of the LACE project. In this guest post he asks what it will take for institutions to benefit from the use of learning analytics to support student retention and engagement. If you would like to attend, please register at https://www.eventbrite.co.uk/e/lace-solar-flare-2015-research-into-practice-tickets-17367324134. During June 2014, LACE collaborated with Jisc and the EUNIS E-Learning Task Force to run a workshop session on “Electronic Management of Assessment and Assessment Analytics” prior to the LACE Evidence Hub, which brings together evidence about learning analytics. Everyone is welcome to add evidence to the Hub site. George Siemens Interview - "Making Learning More Human"
What barriers have the learning analytics community overcome in the last three to five years? Abelardo Pardo Interview - "Learning Analytics will increase Student Capture"
Paul Prinsloo Interview - "Multidisciplinary Approach Enriches Discourse"
Alan Berg Interview - "Learning Analytics Impacting on National Policy"
It’s a busy week for the LACE team many of whom are in New York State attending LAK15. If you want to catch up with them or follow on Twitter (#laceproject)- the table below summarises who is doing what and when. In this Guest post Paul Prinsloo research professor in open distance learning at the University of South Africa discusses how South African Universities are starting to use learning analytics to improve student learning. The post first appeared in World University News. Learning Analytics: Not just about measuring but engaging students! Using learning analytics as a means to engage students was the common theme emerging from a workshop gathering UK higher ed professionals. The LACE project supported a Learning Analytics Summer Institute event in the UK – LASI@MK. Higher education in Europe is facing large-scale change. A combination of the economic situation, government policies and globalisation are leading to new ways of operating and new business models. Universities and colleges face new regulatory approaches, reduced budgets and competition from the private sector. Students have to deal with an increase in fees and with a decrease in employment opportunities. Educators are increasingly making use of technology-enhanced learning. The recent growth in free education provided by massive open online courses (MOOCs) opens up new ways of approaching learning in higher education. This relates to a growing belief that education in colleges and universities is failing to deliver graduates with the flexibility and skills necessary for individual and national success in 21st-century Europe. It is also linked with a desire to develop effective new approaches to teaching and learning. In this context, there is growing interest in the use of data to produce business Intelligence, benchmarking and league tables. For university management, it is this perspective on analytics that dominates. Learning analytics and educational data-mining (EDM) researchers focus on the use of data to support learning and teaching. The learning analytics community has many strong roots in progressive approaches to education and to innovation in technology-enhanced learning. The EDM community often makes use of more formal learner models, related to cognition. Together, the two approaches can be used to support learning and teaching in higher education. Bring together communities with an interest in the use of analytics in higher education. Capture and share the latest work on learning analytics and EDM from both researchers and practitioners. Report on significant developments and issues in this area. 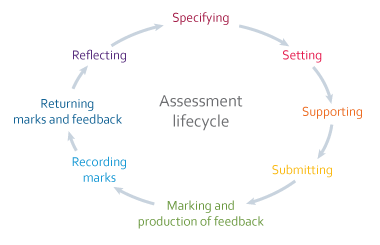 Identify, collect and synthesise claims and evidence relating to learning analytics and EDM. Planning, organising, and delivering LACE events for those working in higher education. Contributing to events organised by others. Capturing the latest thinking, using informal reports. Producing more in-depth studies and reports. Bringing evidence together in a freely accessible ‘Evidence Hub’. This work is led by Open University UK in close cooperation with Open Universiteit Nederlend and support from Cetis and Høgskolen i Oslo og Akershus.